Osram is expanding its expertise in smart outdoor lighting systems for cities by acquiring a minority stake in the Dutch software specialist Tvilight. The lighting maker will hold 47.5 percent of the company, which offers sensor technology and smart light management software for smart city solutions, among other things. Tvilight offers a platform for cities and other public space stakeholders to realize smart city visions and will continue to provide an open platform for suppliers of smart city so-lutions. “To extend our portfolio of lighting solutions for cities and to provide supe-rior value to our customers, Osram equips its outdoor luminaires with additional intelligence. Tvilight’s software solutions are the optimum extension for our lumi-naires” said Eladia Pulido, Head of Osram Lighting Solutions (LS). 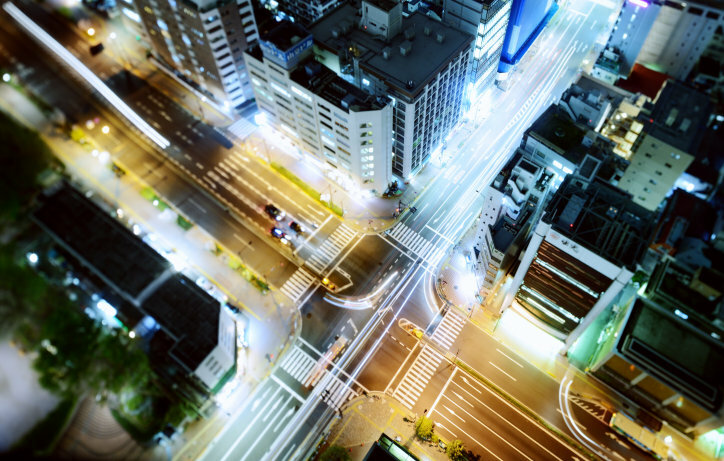 Lighting net-works can be the foundation for a smart city infrastructure. They create additional value beyond pure illumination, like supporting the inner city traffic management or the monitoring of air quality. By acquiring a stake in Tvilight, Osram is responding to the growing demand for smart light solutions in cities. Smart, networked lighting is one of the focal points of Osram Lighting Solutions. Osram has already gained a leading position in outdoor lighting for cities. By add-ing Tvilight’s portfolio, the company has further bolstered its position in this area. The Dutch company Tvilight, which was established in 2012, specializes in light manage-ment software for outdoor applications and sensors. Driven by the vision that intelligent streetlights would play a pivotal role in supporting sustainable urban growth and making cit-ies smart, connected and future-ready, Tvilight has developed an innovative smart city software platform and has deployed thousands of intelligent devices across the globe. “We are pleased to enter into a strategic partnership with Osram, an esteemed international group representing over 100 years of lighting technology experience and excellence. To-gether with Osram, we will continue to deliver IoT-ready, connected intelligent lighting solu-tions on a global scale, transforming urban infrastructure, enabling smart city applications and improving lives of the citizens. Our combined strength will help delivering superior level of products, software, and services to our partners worldwide. This partnership will further enable Tvilight to pursue the increasing demand for large-scale smart city lighting projects based on our open, versatile, multiservice software platform. We look forward to this mutual journey with great excitement, commitment, and ambition,” adds Chintan Shah, Founder and CEO of Tvilight.